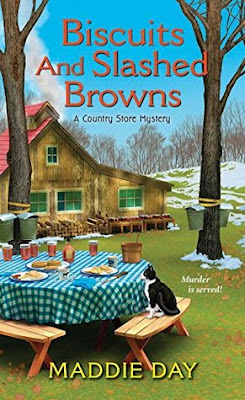 For country-store owner Robbie Jordan, the National Maple Syrup Festival is a sweet escape from late-winter in South Lick, Indiana--until murder saps the life out of the celebration . . .
As Robbie arranges a breakfast-themed cook-off at Pans 'N Pancakes, visitors pour into Brown County for the annual maple extravaganza. Unfortunately, that includes Professor Connolly, a know-it-all academic from Boston who makes enemies everywhere he goes--and this time, bad manners prove deadly. Soon after clashing with several scientists at a maple tree panel, the professor is found dead outside a sugar shack, stabbed to death by a local restaurateur's knife. When an innocent woman gets dragged into the investigation and a biologist mysteriously disappears, Robbie drops her winning maple biscuits to search for answers. 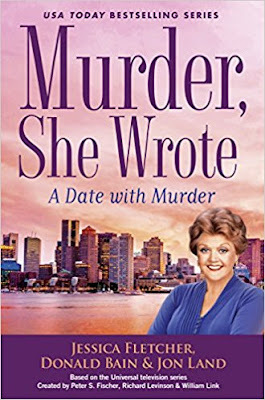 But can she help police crack the case before another victim is caught in a sticky situation with a killer? 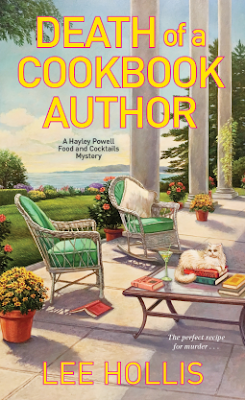 In the latest book by Maddie Day we find Robbie Jordan owner of Pans 'N Pancakes up to her neck in maple festival of course what isn't on the menu is a chocking and murder! When a Professor Connolly shows up he rubs alot of people the wrong way including Robbie's co-worker and it's up to Robbie to figure out who killed the professor and why? 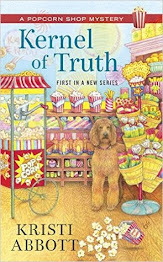 In a town like South Lick there seem to be no shortage of secrets, but can Robbie sort through them all to get to the truth or will she be cut out like the Professor? This book was great and introduced readers to the world of maple sugaring for those who don't know. I really liked watching how Robbie handles things and it shows Robbie more human who makes mistakes trying to do the right thing. Robbie is far from perfect and in my case that makes her more of a perfect character she's has flaws which I think add to a story. I'd be more worried about her if she was too perfect! If you haven't picked up on these books yet you are missing a real treat. 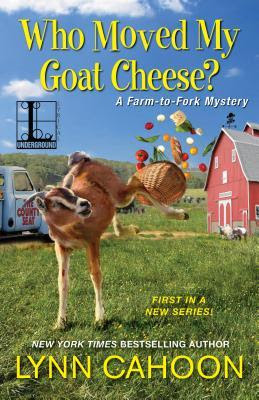 This book I would highly recommend to food lovers and mystery lovers as well! Until her marriage, Eve’s only “family” was her grandmother Grandy, who raised her after her parents died in a boating accident. Now, in addition to her husband and sons, she has a father-in-law who clearly dislikes her. Sammy’s father, a full-blooded Miccosukee Indian long presumed dead, has emerged from the swamps where he’s been living like a hermit, and he isn’t happy about Eve's marriage to his half-Miccosukee, half-white son. As for Eve’s family, are her parents really dead? A woman named Eleanor claims to be Eve’s half-sister, born after her mother faked a boating accident to escape her abusive husband, Eve’s father. Then Eleanor’s father turns up dead in the swamps, stabbed by a Bowie knife belonging to Sammy’s father, Lionel. Strange as Lionel Egret is, Eve knows he had no motive to kill this stranger. 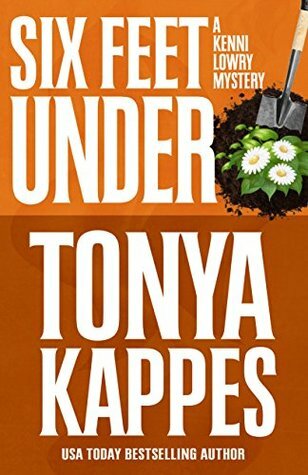 In order to clear him, Eve must investigate Eleanor's claims, and she might not like what digging around in her family’s past uncovers. 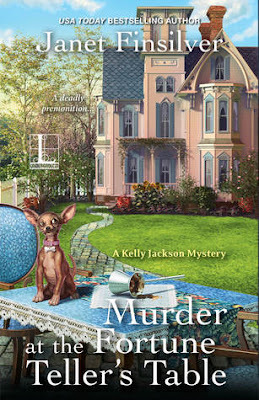 Book 6 in the Eve Appel Mystery series. This book follows Eve Appel Egret who meets a man whose looking for his daughter before Eve can help him he's gone and then a woman comes in claiming to be Eve's sister and feeds her this incredible story about what supposedly happened to Eve's mother after she died in a boating accident. This creates all sorts of conflicts with Grandy and Eve as they both know Eve's parents died in a boating accident when Eve was 8. 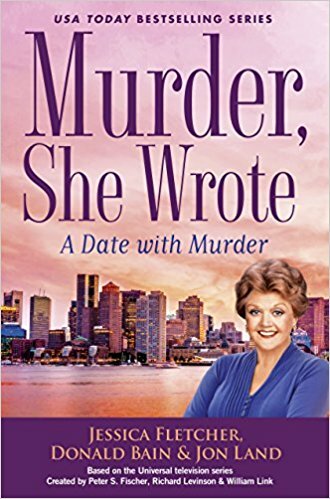 When the man Henry winds up dead and Eve's father-in-law is the suspect in the crime it's up to Eve and Nappi to get to the bottom of it. 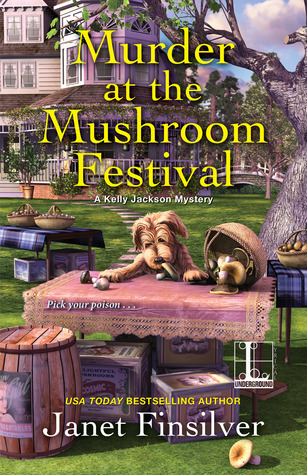 Will Eve figure out in time or will her snoopy skills get her more than she's bargained for? 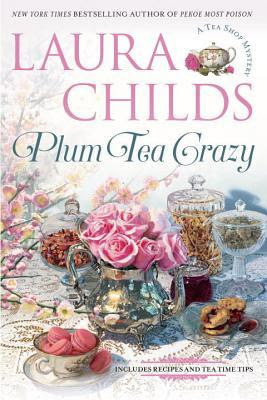 This book had so much going on the strained relationship between Eve and her father-in-law Lionel. Sammy and Eve having a fight and Eve investigating the crime which leads them back and forth between Florida to New York and back to Florida then back to Connecticut and one more jaunt to Florida again. It also shows alot of history with Eve's family her Grandy's sister Irene and her daughter Brenda and finally Eleanor who seem to have all sorts of hidden secrets whether Eve and Grandy want it that way or not. Getting to the bottom sure takes a boatload of work but this book definitely couldn't be put down I read it one day. Eve has a way of dragging you in and not letting go until the perps are arrested and justice has been correctly served! This book brings us back to Cabot Cove as summer is ending and everyone is gathered at Babs and Hal's house to celebrate Labor Day. As the festivities are winding down Jessica helps Babs locate Hal when they find him lying in the kitchen. After rushing him to the hospital we find out Hal died and Jessica finds herself wondering how a young man could wind up dead. Could foul play be at hand or is it just a case of heart attack regardless of the age? When Jessica is confronted by someone claiming to be Hal's lawyer threatens her, Jessica really wonders what is going on? This book takes you all over from Boston to New York and back to Cabot Cove. We get to see Jessica work with Mort the sheriff and Seth the good old country doctor as well as Harry McGraw a local private investigator in New York who helps Jessica investigate the death and where it will lead which is right back to Cabot Cove. I am such a huge fan and this book didn't disappoint. I was like watching the show except it was reading a book which really pulled you in and didn't let go until you knew the ending which I was greatly surprised with! Can't wait to see what is next with Cabot Cove and Jessica and her friends and loved ones! Food and cocktails columnist Hayley Powell will be cooking alongside top chefs at a cookbook author's party. But a killer plans to ruin her appetite . . . When Hayley's idol, cookbook author and TV personality Penelope Janice, invites her to participate in a Fourth of July celebrity cook-off at her seaside estate in Seal Harbor, Maine, Hayley couldn't be more flattered. She just hopes she can measure up. With a who's who of famous chefs whipping up their signature dishes, this holiday weekend has all the ingredients for a once-in-a-lifetime culinary experience. Instead, Hayley gets food poisoning her first night and thinks she overhears two people cooking up a murder plot. The next morning, a body is found at the bottom of a cliff. Tragic accident or foul play? To solve a real cliffhanger, Hayley will need to uncover some simmering secrets--before a killer boils over again . . . In this book Hayley meets her idol Penelope Janice a cookbook author when Penelope invites Hayley to spend the weekend at her estate in Seal Harbor. Hayley agrees and not long before drama unfolds. 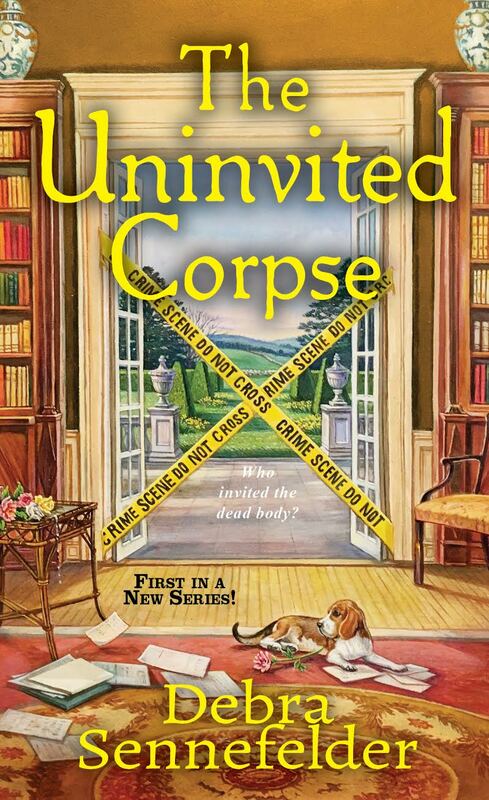 For Hayley that entails food poisoning and eavesdropping on a murder plot! 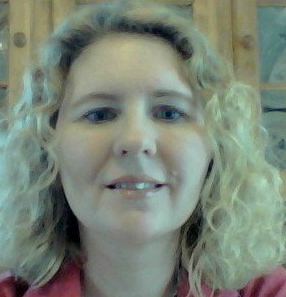 Did Hayley hear a murder plot or was her food poisoning that severe that she dreamed it? When Penelope's husband winds up dead it's up to Hayley to figure out what is going on! Will Hayley figure it out of will her snooping get her that much closer to last call? This book was great we get to see Hayley team up with Bruce from work and together they try to get to the bottom of what is going on with the rich and elite. After several attempts on Hayley's life and a little work from Bruce and an old ex-girlfriend they are able to piece together what is really going on and why! I can't wait for the next in this fun series! The quaint fishing village of Salmon Cove, Maine, seems like the ideal location for a girls' weekend with Hayley's gal pals, Liddy and Mona. Liddy's on the rebound from a breakup, but when she meets a handsome tourist, it looks like a little romance might liven things up. Libby, Mona and Hayley are off for a weekend in Salmon Cove Maine where Mona's uncle has a cabin but like most things everything is not what it seems. 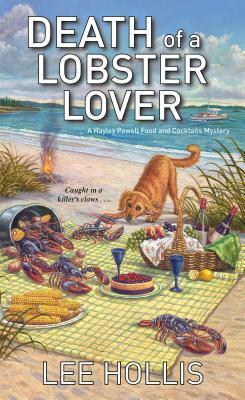 Libby meets a handsome man who agrees to go to a lobster festival with her but when she is stood up the real nightmare begins. When the body of a travel writer winds up dead on the beach and the girls are getting into tons of trouble with the local police, Hayley becomes determined to figure out what happened and why? This book was full of so much mystery and adventure. We get to see what the girls are like when they are out of their comfort zone and meet the people of Salmon Cove. Salmon Cove was where we learn Mona spent alot of summers visiting and making friends. It's like Bar Harbor in some ways and not in others and it was great to see Hayley get to the bottom of multiple mysteries. Can't wait to see what is next for Hayley! 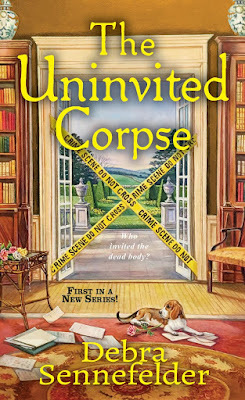 This book follows Theodosia Browning who is at the mansion of Timothy Neville when her and Drayton witness the murder of a banker Carson who plummets to his death. Theo hoping to catch the killer sets off in a chase after him which leads them to a inn. When she returns with Drayton to Timothy's house they find him asking her to look into the murder and who might have done it. This leads to his wife, business co-workers, to multiple of other characters. 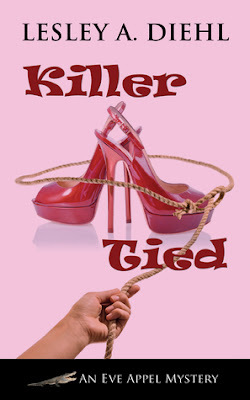 Will Theo figure it out in time or will this web get deeper and deeper with a possible killer running away free. 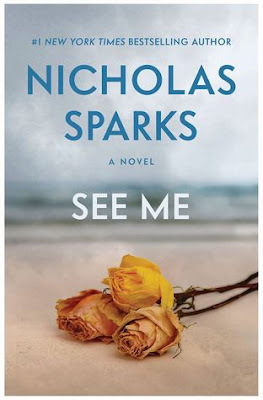 This book was great the series seems to get better with each book. In this one Theo finds herself going in many directions without getting the answers she's seeking. I found myself drawn in not able to put the book down as it was a real page turner. I loved watching as Drayton and Theo tried to put the pieces of the puzzle together until at the end the puzzle was finally solved! This book follows Clare Cosi whose hosting Cinder dating couples at the Village Blend which is the newest app that allows swipe to meet couples to get together. When a young woman goes crazy after her fella who dropped her like a bad habit. Not long after the news travels about the dangers of the Village Blend and Tucker winds up quitting which Clare won't tolerate. She is determined to get her shop business again and her barista back. When the body of a young woman is found in the water Clare wants to know who she is at any cost! When the fella who is anything but honest winds up dead, and all points lead to something going on with a new drug in town. Clare finds herself relying on friends and family to help catch a killer. This book brought you all over the place from fitness clubs to crazy dating apps to an assortment of characters who look good for the murders but the truth is out there and Clare will stop at nothing to figure it out! I enjoyed this book and the adventure it brought I couldn't put it down Clare, Matt, Tucker and everyone else at the Village Blend are so addictive that you want to see what is going on and what everyone is up to. I look forward time and again for the lastest in this great series that is like fine wine only getting better over time! 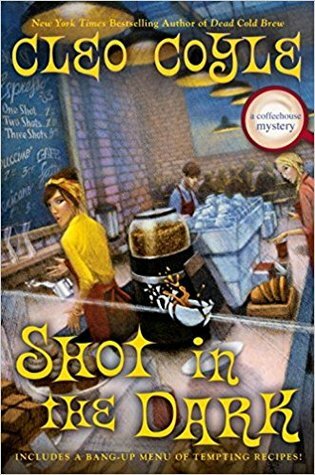 This book follows Sheriff Kenni Lowry who has her plate filled with her ghostly father showing up which always means nothing good and her mother entering a contest for a Culinary Channel. When the celebrity chef Frank Von Lee shows up dead it's up to Kenni to figure it out. Of course all the evidence points to her mama but Kenni won't give up even when she has to give the case to Finn she refuses to back down and keeps searching for the guilty party. Will Kenni figure out in time or is her number up and she's wind up joining her daddy in the great sky life? This book was great and quick moving it pulled you in wanting to know what is up with Kenni's mamma. What was really great was watching Kenni and locals help her even though she was technically off the case. I really found myself enjoying the adventure and looking forward to the next one! 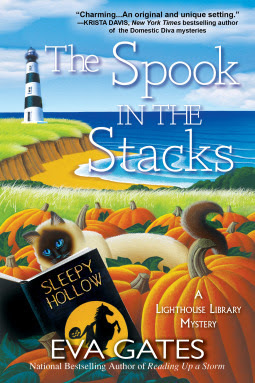 This book follows Lucy Richardson whose working at the Bodie Island Lighthouse Library as Halloween is approaching they have agreed to let Louisa Jane do all her talks on hauntings and things. Add to that a businessman from Nag's Head long ago is deciding where to donate his documents to either a college library or the lighthouse library. When he winds up dead the pressure is on to find the killer. In the cops sights is his granddaughter Julia. Will Lucy figure it out in time? Who will win the mayoral election going on? 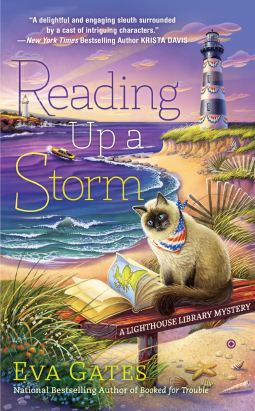 I really enjoyed this book as it has everything I've come to love with the lighthouse mysteries. The patrons of the library plus the staff make it a real treat to go back and see what everyone is up too. It was also good to see that Nag's Head was dealing with the elections as well! I really loved it and found I couldn't put it down until I had it all figured out. Even though this book really kept me guessing on the bad person. 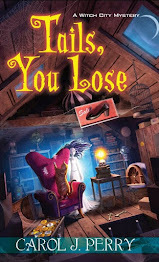 This book follows Kelly Jackson as she meets a fortune teller and her assistant Summer who wants help from the sentinels tracking down someone from her past. The Sentinels set out on the search and find her within a day Summer and the Fortune teller is dead, and the Sentinels are carrying out her last request when Mary gets attacked by someone the Sentinels set out to find out what happened and why? Will they figure it out or will their future lead to demise? I love this series so full of so much between the Sentinels and people visiting the Bed and Breakfast and this one led to a story that took place in the 60's and what happened back then and those involved. I really enjoyed visiting everyone and seeing what everyone is up to.